Martin Jarvis was Born for this! 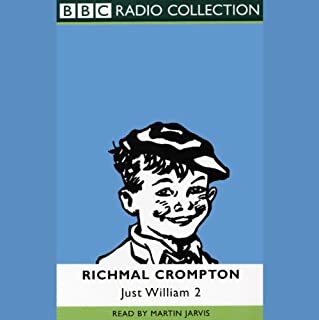 "More William" (1922) by Richmal Crompton is like most of the "William"-books: it has no continuous narrative, but consists of separate independent short-stories. Some of the stories collected here are as follows: "A Busy Day","Rice-Mould", "William's Hobby", "The Ghos", "The May King", "The Revenge", "The Reform of William", "William's Christmas Eve". Perpetually scruffy, mud-stained, and mischievous, William is a lovable scamp whose pranks usually end in disaster - for his harassed elders at least. With friends Ginger, Douglas, and Henry and that angelic thorn-in-his-side, the lisping Violet Elizabeth Bott, William has rightly joined the literary, and radio, immortals. The title of Ravenmaster is a serious title indeed, and after decades of serving the Queen, Yeoman Warder Christopher Skaife took on the added responsibility of caring for the infamous ravens. In The Ravenmaster, he lets listeners in on his life as he feeds his birds raw meat and biscuits soaked in blood, buys their food at Smithfield Market, and ensures that these unusual, misunderstood, and utterly brilliant corvids are healthy, happy, and ready to captivate the four million tourists who flock to the Tower every year. A Classic, I Was Spellbound! Master Story Telling! 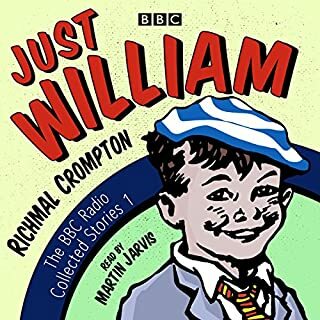 Listen to more Just William episodes. ©2005 Richmal Crompton (P)2014 Audible, Inc. Absolutely. The whole family listened to Just William stories on a very lengthy car trip (15 hours drive). The time passed quickly, with my 7 year old boys, my mother-in-law, myself and my husband entranced by the stories. We roared with laughter at Williams antics and at times the car literally shook with laughter. What was one of the most memorable moments of Just William? Every story was just so wonderful it's hard to pick a favourite moment. I'd say my best memory was looking around at the faces of my family, the seven year old boys and their grandmother sitting togethor, eyes bright with joy, at one, roaring with laughter. Laugh, and laugh and laugh some more. At one point, we were rolling around the floor (in the Shakespeare story) weak with laughter. The boys didn't get all of it, but they did get the 'ham and eggs and bacon' jokes. You will love, love, love these stories. I have already told my mother off for not giving them to me as a child. But I can still enjoy them now!! Very reminiscent of Tarkington 's Penrod books (among the funniest books ever written) and just as good. Be Prepared to Laugh - Lots! 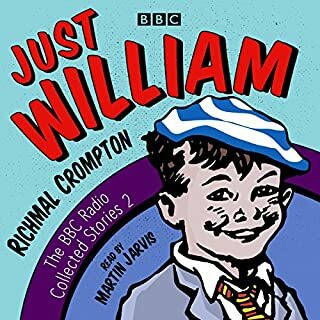 Would you listen to Just William again? Why? We enjoyed this on holiday, as a family,. 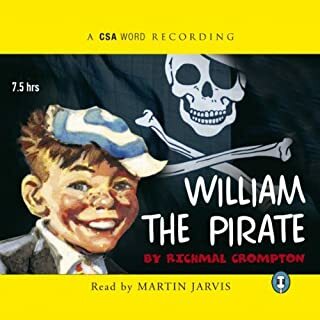 I think this would be our favourite Just William audio, thanks mostly to the excellent narration by Martin Jarvis - that man is an artist! 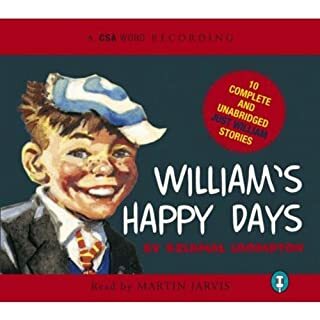 We thought this would be an intereseting series The stories have a little rascals in England twist to them but the story lines did not captivate my 7yr old son's attention and he was lost in all of the english phrases. What does Martin Jarvis bring to the story that you wouldn’t experience if you had only read the book? What disappointed you about Just William? The recording is broken in places so jumps between completely different stories. Was really looking forward to listening but continuity of recording has let a great story and performance down. Would you be willing to try another one of Martin Jarvis’s performances? 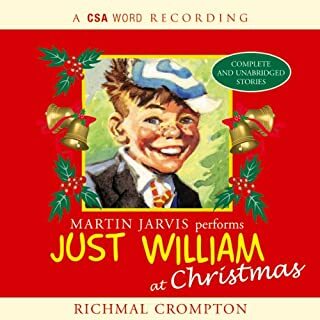 Martin Jarvis's performances are excellent, actively seek out ones read by him. If you could play editor, what scene or scenes would you have cut from Just William? The editor just needs to make the recording flow and correct the cutting and pasting errors. It's a broken recording don't waste your money. This book is so wonderful! This the funniest book I've read in a long time! The narration is superb and I'm looking into getting the other books now! 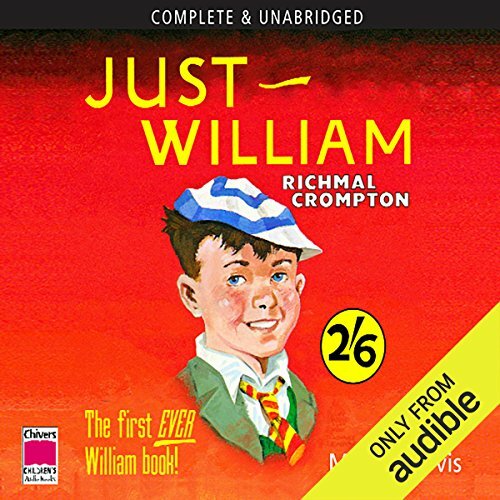 I read the Just William books so many times as a kid. They never failed to make me giggle uncontrollably. They still do. Even better, this book reminded my of my own impulsive mishaps. "I didn't mean to." Was something I said a lot.